Coursera meets the criteria of a learner-centered environment by allowing students to choose their own path in an online learning environment. Students can enroll in courses and choose to either deeply engage or selectively delve into course content, without repercussions in terms of grades or other forms of evaluation. Students can take courses – either for credit (or no credit) – in an attempt to bolster their understanding on a multitude of subjects. In this manner, Coursera serves as a supplemental instructional aid for students who are struggling in a traditional classroom, with access to assistance from faculty and students in peer-led forums, in a pressure-free environment. Coursera is recognized as one of the largest providers of MOOC (Massive Open Online Courses). It has established partnerships with 140 universities in offering more than 1,500 courses across a range of subjects: engineering, medicine, computer science, social sciences, foreign languages, and the humanities. All courses are offered for free. There is an option to pay for a certificate of completion. Antioch University is the only partnering institution that offers college credit for completed courses on Coursera. This option is only available to students who have matriculated at Antioch and attend their institution. Coursera began in 2011 as a for-profit venture by two Stanford University computer scientists. Coursera was launched after the successful pilot of an artificial intelligence course offered at Stanford, with students from over 190 countries taking the course. In its first year of operation, Coursera enrolled 680,000 students in courses offered by Princeton, Stanford, University of Michigan, and the University of Pennsylvania. The CEO is Rick Levin, a former president of Yale University. Coursera is accessible on any web browser. In addition, there are mobile app versions of Coursera available for smartphones and tablets running Apple, Android, and Windows operating systems. Some courses require the use of a flash plug-in. To access the full course (lectures, videos, and supplemental materials), learners need to be registered users. 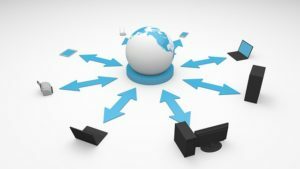 For students who live in areas with unpredictable or limited internet bandwidth, there is an option to download lecture videos and other course materials for viewing offline. The majority of courses are offered in English. Increasingly, more courses are offered in other languages, including Chinese, French, Russian, Spanish, Portuguese, Turkish, Ukrainian, German, Arabic, Italian, Japanese, Hebrew, and Italian. Technical support is offered via a learner help center and through peer-led help forums. There is no dedicated help desk or phone number for technical issues. The Empowered Learner ISTE standard is met as evidenced by Coursera’s freedom in allowing students to set their own learning goals in terms of course selection and engagement. The Global Collaborator standard is met, as students are expected to interact with peers who hail from more than 190 countries in course discussion forums. As mentioned earlier, all courses are offered at no cost. However, students who wish to earn a certificate of completion must pay fees that range between $29.99 and $59.99 per course. The time investment needed to become proficient in navigating Coursera is minimal. Menus, visual displays, and icons are easy to access and intuitive. Students enrolled in more than one course can easily jump from one course to the next, based on individual preferences. All courses contain pre-recorded lectures and other materials freely available for download. 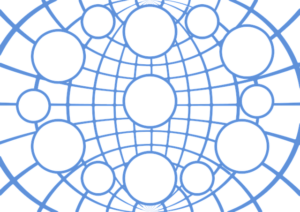 These materials can include lecture notes, quizzes, PowerPoint slides, exams, readings, links to other content not available on Coursera, and access to discussion forums. The discussion forums allow students to post questions and to engage in scholarly dialogue with peers and course faculty. Students can progress through the course at their own pace. If students wish to earn college credit or a certificate of completion, then students must adhere to set dates as designated by the course faculty. Coursera makes numerous accommodations for learners with special needs. For students who have hearing difficulties, transcripts and subtitles are made available. A significant portion of Coursera’s content can be accessed by screen reading software. Those students with learning disabilities can save their work multiple times as drafts before submitting the final version. In addition, students can complete quizzes and exams multiple times without penalty. Cookies and web beacons are also running in the background, collecting data. Coursera does permit students to restrict cookie access only when students initiate such restrictions within their browsers’ settings. Names, e-mail addresses, responses to surveys, and credit card information are some examples of personally identifiable information that Coursera logs and assesses. One of the purposes of collecting such information from users is to allow Coursera to tailor their marketing. For students in Europe, Coursera has adopted the Privacy Shield Framework set forth by the European Union. This framework limits the amount of personally identifiable information Coursera can collect. By virtue of becoming a registered user, students provide assent to research studies directed by Coursera or any of its university partners. All students agree to hold Coursera and their partners free from any liability that may result in participating in a course. Students are forbidden from sharing their passwords with others, or contact peers or faculty with spam, viruses, malware, worms, etc. Coursera allows students anywhere in the world to experience a large, self-paced educational opportunity with world-class faculty. Coursera’s model of providing certificates of completion can make a university education accessible to populations who may live in remote areas or in parts of the world that have limited resources (e.g., war-torn regions). Substitution: Learners can complete courses online with Coursera, at their own pace. Learners can choose to complete a course, or not, without penalty. Augmentation: Coursera allows learners to build upon content being taught at their home institutions, without any commitment or anxiety pertaining to final grade evaluations. Modification: Learners can engage with peers that hail from a great variety of countries, including learners from parts of the world that have traditionally had low participation in online courses. Redefinition: Learners who may not be able to afford or gain admission into some of the most prestigious universities in the world can now have access to scholar-educators. Such access enriches the learning environment by ensuring that students receive course content that is relevant and rigorous. A nurse practitioner is contemplating changing her clinical practice from rheumatology to neurology. She decides to complete a Duke University course on neurophysiology to determine if she can bridge her current clinical expertise to the content taught in the course. College-bound high school students who are balancing numerous demands to be top students, athletes, and emerging leaders can benefit from an award-winning course on happiness, taught jointly at the Indian School of Business and the University of Texas at Austin. While the course was designed by business professors, it will have meaning and utility for all types of students. The course syllabus promises students that happiness can be achieved by completing the course, which will also help them address the following questions: “Why aren’t the smart-and-the-successful as happy as they could, or should, be? What are the “7 Deadly Happiness Sins” that even the smart and the successful commit? What are the “7 Habits of the Highly Happy” and how can you implement them in your life?” The student completes the course and finds it transformational. His mood improves, and he is able to regain her sense of purpose. A service organization recently experienced upheaval and turmoil among the ranks of executive leadership. A group of mid-career employees are looking to find ways to lead the organization through a time of chaos and conflict. The employees are interested in developing new leadership skills that can help the organization transition successfully in this new realm. The employees discover a course offered by Case Western University on appreciative inquiry, which can assist them in developing competencies in building organization-wide strengths, rather than dwelling on weaknesses. 2. The site requires all users to create a free account. 3. Complete the free account online form. 4. Coursera will send new users an e-mail to verify the account. Click on the verification link provided in the e-mail. 5. After signing in with account credentials, the user home page provides a series of steps on how to search and enroll in a course. 6. Courses are organized according to discipline. Alternatively, users can search the site using keywords of interest. 7. Select the course that is of interest. Browse the course page, peruse the syllabus, read the instructor’s biography. Click on the green enroll button. Deng, H., Shao, Y., Tang, Y., & Qin, Z. (2014, October). How Micro Lecture Videos Trigger the Motivation of Learners of Coursera: A Comparative Study Based on ARCS Mode. In Educational Innovation through Technology (EITT), 2014 International Conference of (pp. 117-122). IEEE. Khalil, H., & Ebner, M. (2014). MOOCs completion rates and possible methods to improve retention: A literature review. World Conference on Educational Multimedia, Hypermedia and Telecommunications, 1, 1305-1313. Severance, C. (2012). Teaching the world: Daphne koller and coursera. Computer, 45(8), 8-9. Young, J. R. (2012). Inside the Coursera contract: How an upstart company might profit from free courses. The Chronicle of Higher Education, 19(07), 2012. This image showcases the global reach and flexible technological access of Coursera. Coursera bridges learners and educators from all parts of the world. More than 190 institutions offer courses through this tool. Welcome! This week’s review is on the learner-centered tool Coursera. Coursera is a MOOC provider. MOOC is an acronym for Massive Open Online Course. 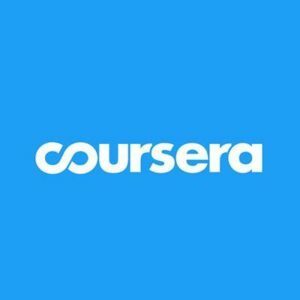 Coursera provides a free platform for learners to register online for more than 1,500 courses taught at 140 different universities. Courses are offered in a range of subjects, from archeology to transmedia storytelling. However, students can pay fees for a certificate of completion. This page provides details on obtaining a certificate. One need not register to view a course’s content or materials. But, registering with the site has some major benefits – such as receiving uninterrupted access to a course, even after it has ended. After logging in, one can search here for courses by typing in keywords of interest. Another option is to search the course catalog by subject, institution, language of instruction, or instructor’s name. Once enrolled, students can choose to deeply engage or selectively delve into course content. Student anxiety is eliminated, as there are no repercussions if one does not complete a course. This is especially useful for students who struggle academically at their home university. A bridge to faculty and peers at another institution can help struggling students make additional meaning and connections to difficult course content. And that’s a wrap! For more of my review of Coursera, feel free to peruse the website.